I've been neglecting Planet Kelsey of late, due largely in part to having the flu a couple weeks back (it's amazing how that can knock you out and keep you catching up for days on end!) and now moving to a new apartment (more on that later I'm sure). But there's always time for some pre-holiday musical treats, so today I'm bringing you "Easter Parade" from the 1948 classic of the same name. The movie stars Judy Garland and Fred Astaire — so the top singer and the top dancer in the Golden Age of Hollywood, really. It's wonderful to watch them together, each bringing their A game. 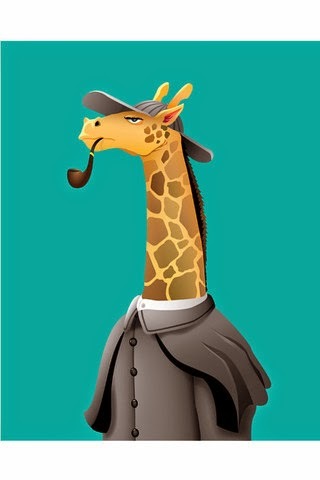 Fun fact: Fred actually came out of retirement for the chance to be in a movie with Judy. I recently watched a PBS documentary about Judy Garland, and one talking head said that it's amazing how, even when Judy is dancing with Fred, she's the one you're watching. Now that's some star power, and it's so true. So here — have some Judy! Confession: I'd never even heard of Lannon before my mom signed us up for a cooking class at Quarry Coffee & Cafe a few months back. Or maybe I had heard of it and just forgot (I do that sometimes). 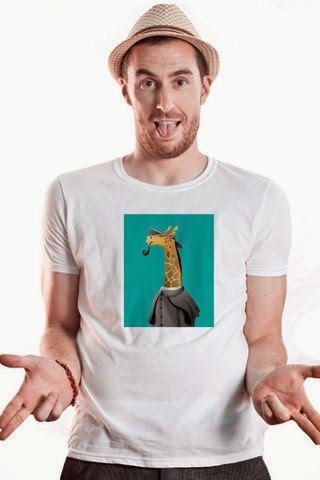 To all Lannonphiles, I apologize. But thanks to these cooking classes, I too have become a Lannonphile! See? People can change. 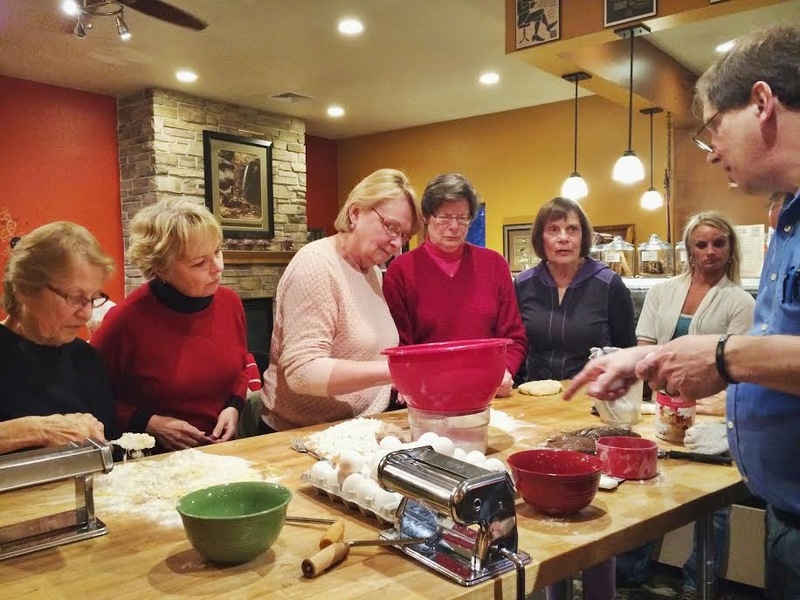 This month's class was a lesson in pasta making. We didn't walk away with pasta to take home, but we ate plenty of it during class and had the chance to get our hands dirty. Just like last time, our teacher and chef Scott Mattfeld encouraged us to dive right in, while also encouraging any and all questions. 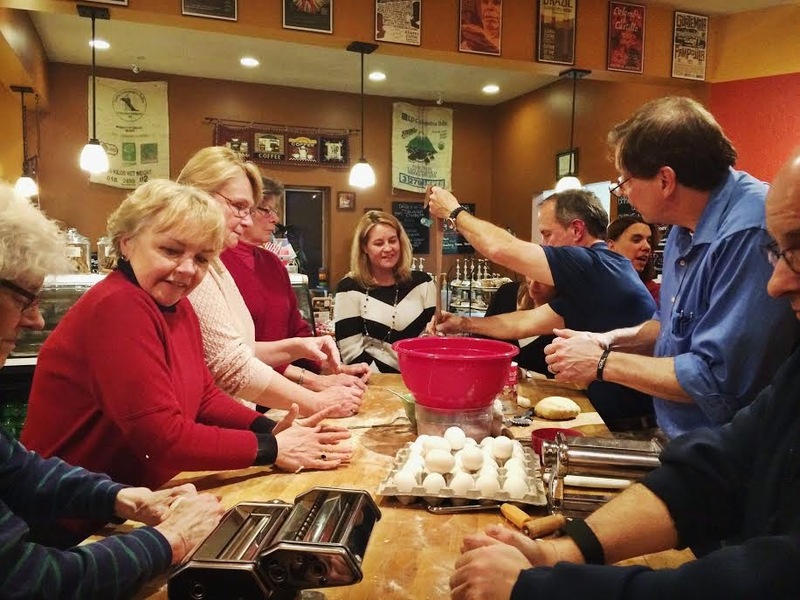 How long do you knead the dough? Until it has a sort of sheen and elasticity — or, as an easier point of reference, until it feels like Play-doh. We rolled out a simple egg dough for fettuccine noodles and used the same dough for three cheese ravioli. 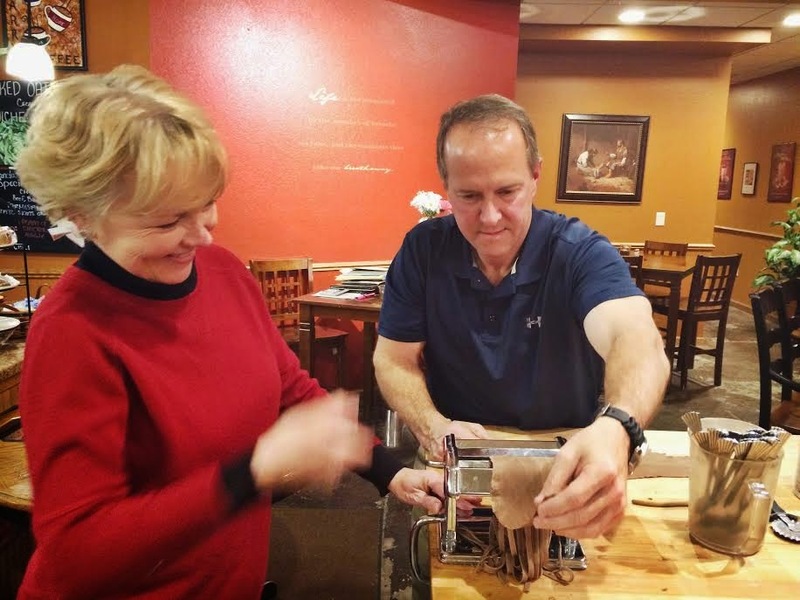 For the fettuccine, we students each got to crank the pasta machine and watch as the dough thinned out. Once it was thin enough, we cranked the machine as the sheets of dough were cut into long strips. Fresh pasta like this only has to cook for about 3 to 4 minutes — crazy! For the eating, Scott had pasta dishes ready so we could graze as we learned. He topped the three cheese ravioli with an easy homemade marinara sauce (yum! ), and the fettuccine became a most delicious carbonara (major yum!). For dessert, something unique: chocolate pasta with a chocolate hazelnut cream sauce! I'd never heard of or imagined such a thing, and while I wouldn't go out of my way to make it or necessarily even eat it again, it was a fun little experience. In the end, I could see that pasta making is definitely an event. One lady in class said that the first time she tried to make pasta, she started at 4:00 and was done at midnight. Clearly it can be quite an ordeal without the right instructions and tools. My mom and I concluded that making ravioli would probably be the most rewarding, since you could stuff each little pillow with a fresh, delicious filling. But as for noodles like fettuccine, it seems silly not to just buy them in a box. 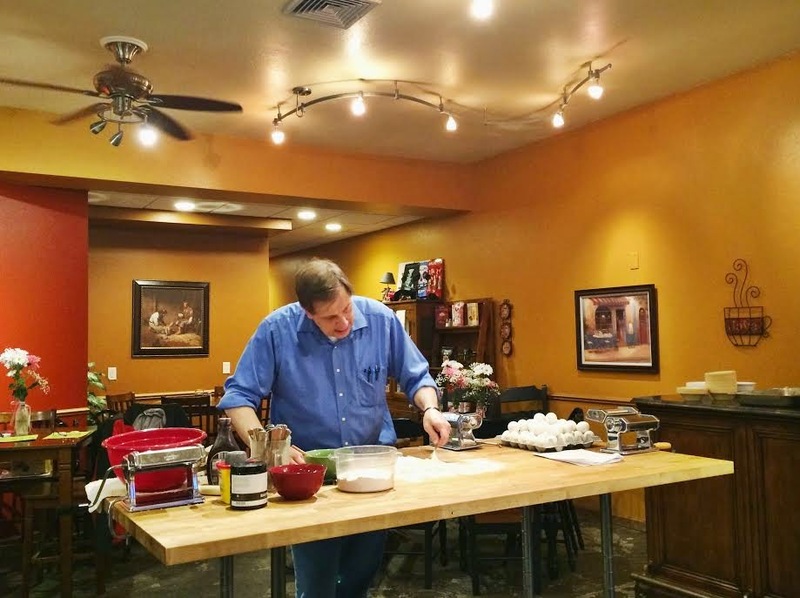 I can't wait for my next cooking class at Quarry Coffee & Cafe! Of course, I have no real idea when that will be — classes are sold out until October. Talk about popular demand! Check it out at Mister Dressup and buy it, or don't — but DO. Follow more of his work at kevin.patrick.lawler on instagram! Milwaukee postcards, cards by local artists, & more! One time, this cute hipster cashier at Beans & Barley told me he thought the place should really be called "Beans, Barley, & Cards." So true, friend. I really don't go to Beans & Barley for the food. Don't get me wrong, I'm a huge fan of their lemon caper tuna salad (among other things) — but the greeting cards bring me back. 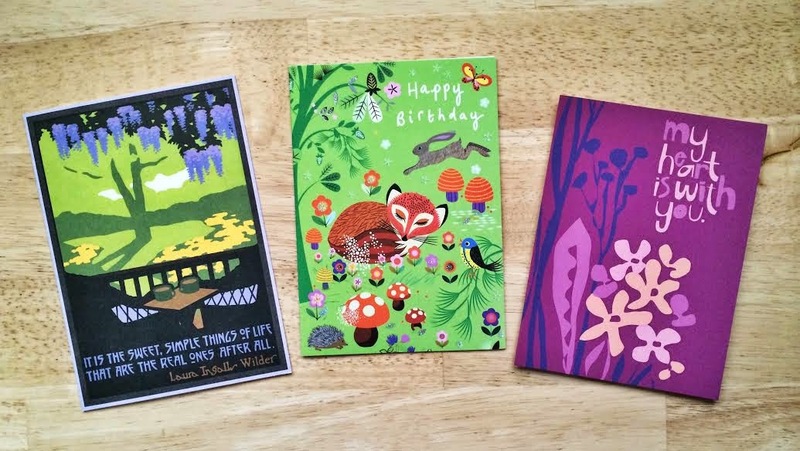 They have cards for every occasion: birthdays, holidays, sympathy, weddings, anniversaries, new babies, just to say Hi, just to say I love you, and blank just to say whatever's on your mind — every one of them totally un-generic. There's also a solid selection of post cards, especially ones featuring Milwaukee artwork. If you live on Milwaukee's east side, there's really no better place to get your greeting card fix than Beans & Barley (& Cards). It's snowing. So let's take a mental vacation back to spring, courtesy of this silly little song from a rather silly (but, duh, still amazing) musical, Seven Brides for Seven Brothers. Is there anything more quintessentially spring than little lambs, baby chicks, flowering meadows, babbling brooks, and ample frolicking? I kind of hate it when critics say things like "fun for the whole family!" because I know it turns people off. I mean, I love family shows and movies and that phrase even turns me off — or at least makes me question if the show/movie really is any fun. But having experienced Beauty and the Beast on stage, I now have some sympathy for those critics; sometimes there's just no other way to say it. This show really would be fun for the whole family. From the first notes I was sucked into this wondrous show. Of course I rather knew what to expect, but when the narrator started in with "Once upon a time, in a faraway land, a young prince lived in a shining castle..." I felt like a kid again, hanging on every word of a bedtime story. 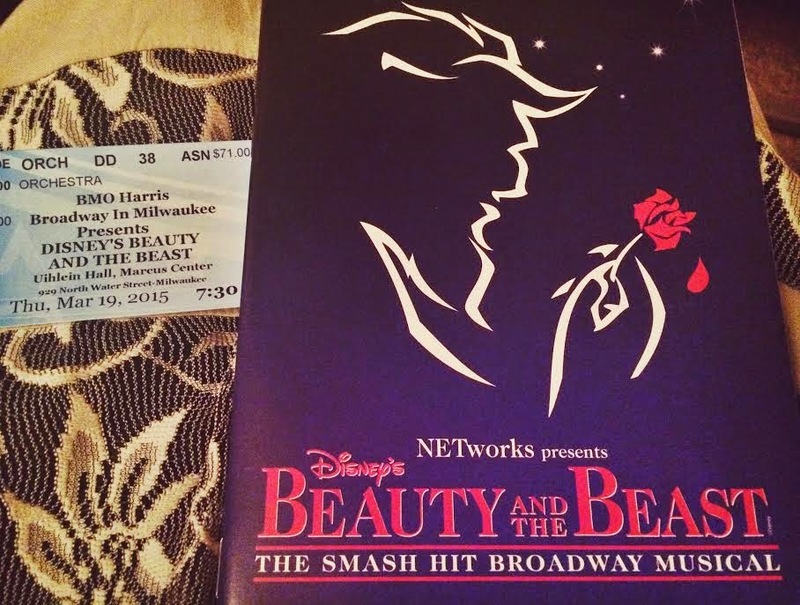 Though I feel like I could replay Beauty and the Beast, the movie, in my head without skipping a beat, somehow the show managed to make me set aside the film and be totally immersed in the spectacle on stage. Like a lot of ladies my age, I can sing every character and voice inflection to Belle's opening song — but I never once thought "Ugh, this song was so much better in the movie." Like I said: Sucked in. I was grinning like an idiot pretty much the the entire time and freely laughing out loud. With sets reminiscent of pop-up book pages and cartoonish costuming, it's easy to see why kids would get a kick out of Beauty and the Beast. All of the favorite songs are accounted for, and the added ones aren't just throw-away tunes but actually add to the heart of the story ("Home") or bring the house down ("Human Again"). As for new favorite characters, the Wardrobe gets more personality in the stage production; she's actually "Madame de la Grande Bouche" ("Missus of the Big Mouth" in French), a has-been opera singer. Then there are all the little things aimed at adults, like some of the Gaston humor. He and LeFou might be villains, but they're also crowd favorites — except to the darling old man sitting next to us who, instead of clapping, shouted a good-humored "Booooo!" at the actors during the final bow. Also for the grown-ups: How Lumiere delivered every line as if followed by a **wink wink, nudge nudge**. Some tweaks to the storyline dispelled any question of why the enchanted objects in the castle are human-sized. The enchantment is slowly turning each of them into their respective objects. So Mrs. Potts and the gang, just like the Beast, have only until the last rose petal falls before their transformations are complete. Overall, favorite songs: "Be Our Guest" and "Gaston." The voices were outstanding. The relationship between Belle and the Beast was believable. The cast of supporting characters were totally loveable and got a lot of laughs. The Beast's transformation back into a man at the end actually made me say "Neat!" out loud (because I'm 5 and have no self control?). The worst part of the whole production was Belle's dress (total Irene Molloy syndrome with bows and frippery — an overworked mess). Which is a terrible thing to under-deliver on, Disney! But it obviously could have been much worse. All I could think at the end (like a total musical nerd) was, "This was so much fun! Can I please see it in New York or Chicago and compare production value?!" I'm sure we loose the luxury of really eye-popping sets, actually gorgeous Belle gowns, and other special effects by virtue of this being a touring version of the show. So I hope Beauty and the Beast runs for years so I can see it on an even bigger stage. This might be the "tale as old as time," but I don't see how it could ever really get old. Growing up, I never understood the allure of soda bread. Now I'm obsessed. I even like it with raisins, which isn't the norm for me — I usually hate raisins in bread. 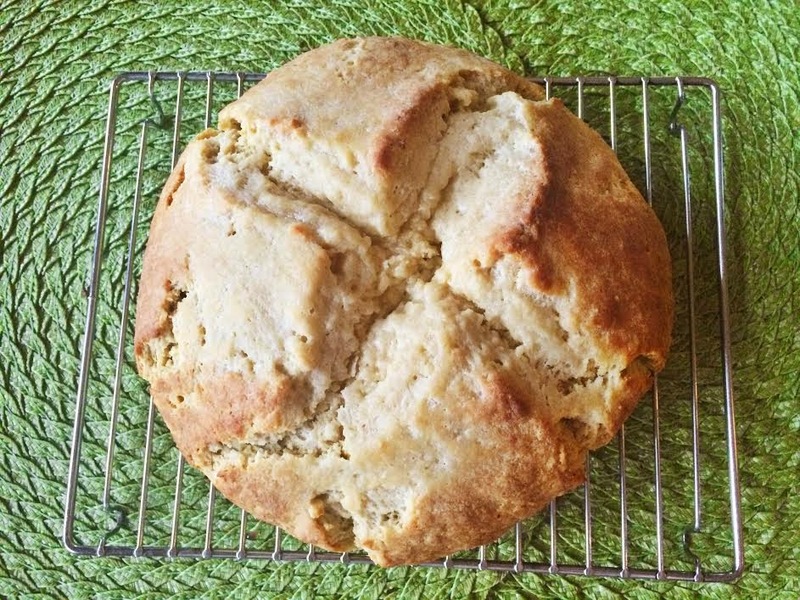 But this recipe is raisin-free, easy, and so yummy with a baking powder biscuit sort of taste. Who can resist a big biscuit!? 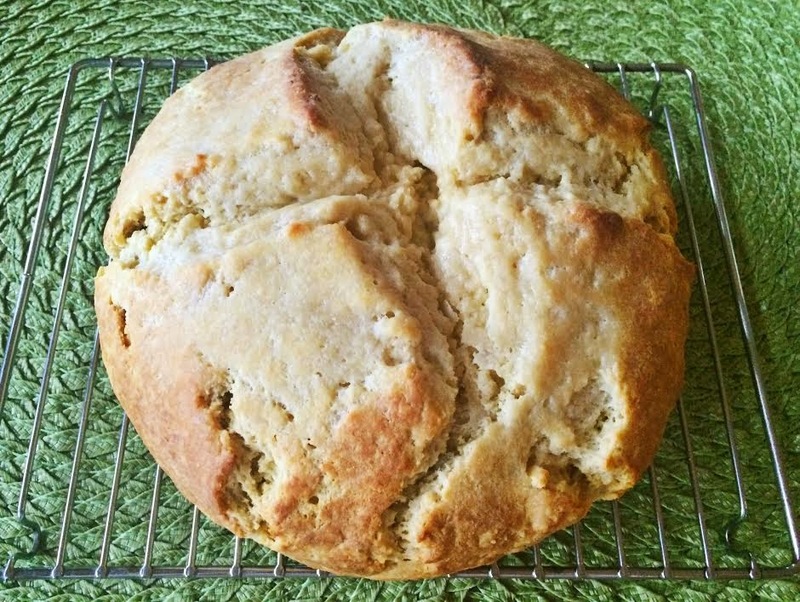 I use St. Patrick's Day as my yearly excuse to make this bread, and it hardly lasts through the night. 1. Preheat oven to 375 degrees. Lightly grease a large baking sheet. 2. In a large bowl, whisk together flour, sugar, baking soda, baking powder, salt, and softened butter. As you mix, the butter should be evenly distributed without any large lumps. Stir in 1 cup buttermilk and lightly beaten egg until combined. 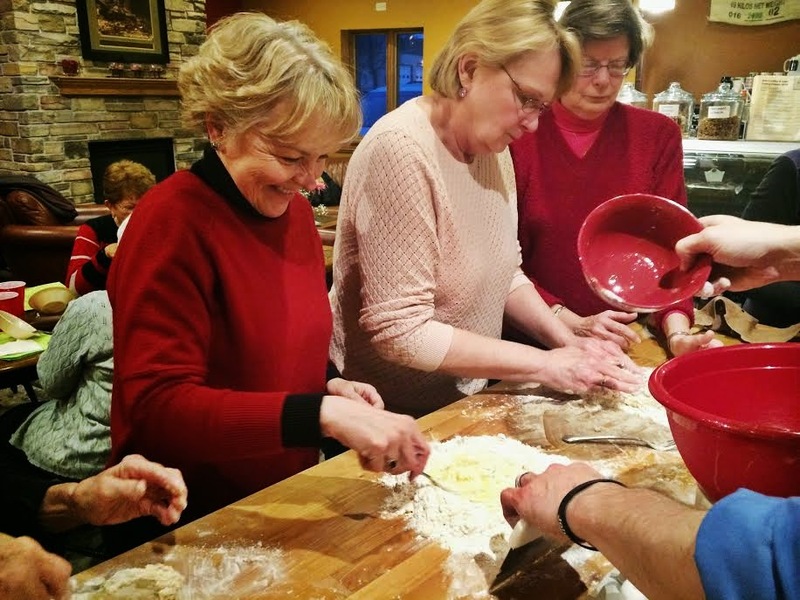 Use your hands to work the dough together in the bowl. 3. Turn the dough out on to a lightly floured surface. (I use a cutting board dusted with flour, then slowly take the crumbly dough from the bowl to the cutting board one handful at a time so as to make as little mess as possible!) Briefly knead the dough and form into a round loaf. (It might look crackly and crumbly — that's okay!) Place the loaf on the prepared baking sheet. 4. In a small bowl, combine melted better and buttermilk for the glaze. Brush the entire loaf with this mixture. Use a sharp knife to cut an "X" in the top of the loaf. In writing up this recipe, it just dawned on me: I accidentally used twice as much softened butter when I made this bread yesterday. Oops! But let me tell you: It was amazing. So I guess you could add 1/2 cup softened butter, or a whole cup! You can't go wrong. Last Wednesday, we made a reservation for Kegel's for six people at 7:30. The next day, I saw this Thrillist list of the "Most essential restaurants in Milwaukee" — and Kegel's was on it! Trend-setters, amiright? So we got there in time for our reservation (which they won't honor until your entire party is present) and the place was hoppin'. Is it always like this, or only after Thrillist lists come out? Or only on Fridays during Lent? I'm not sure. 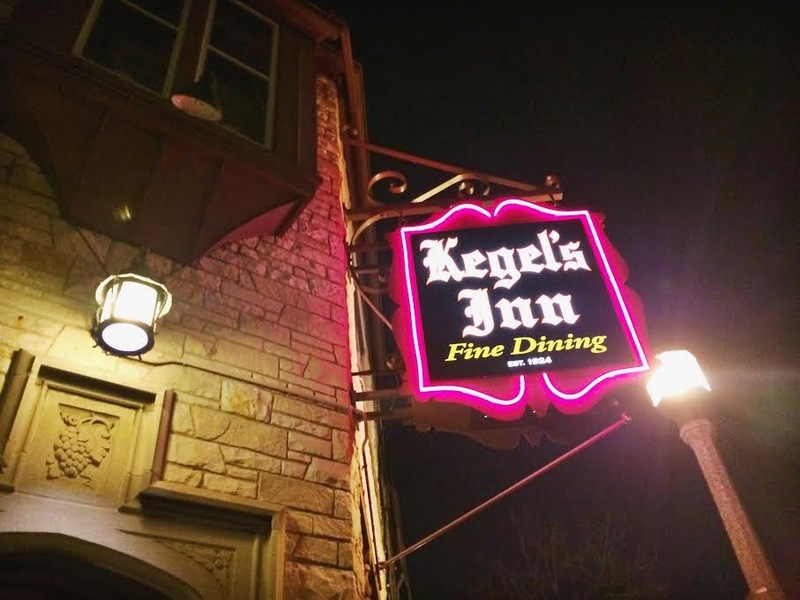 I'd been to Kegel's once a few years back for my grandma's birthday. I believe we went on either a Sunday or week night and the place was pleasantly subdued. Last Friday was a bit of a zoo. Fun, but a zoo. Our waitress was crazy busy, running over the place — in a funny way, but also in a she-might-lose-her-mind way. When it came time to order, we unanimously decided on perch. Perch is supposed to be the high-end fish fry option, right? Like, I usually never get it because I don't want to pay $3.00 extra. So I guess we were all feeling a little extravagant last Friday; as our friend Saba said, "Cod is the poor man's fish." Well after having this particular perch... I'm sorry, but sign me up for poverty! I found the perch rather tough and "fishy" tasting — something I honestly don't recall experiencing at a local fish fry, ever. While others in our party deemed the experience "solid," my take was this: Live and learn, and order cod. Of course, there's no way of knowing whether or not the cod would have been a vast improvement, and we all agreed: perch is just different! You can't really compare a great cod fish fry you had two weeks ago to a perch fish fry. Plus, given that Kegel's is a German establishment, the crust was much more Schnitzel-y than your average fish fry breading. 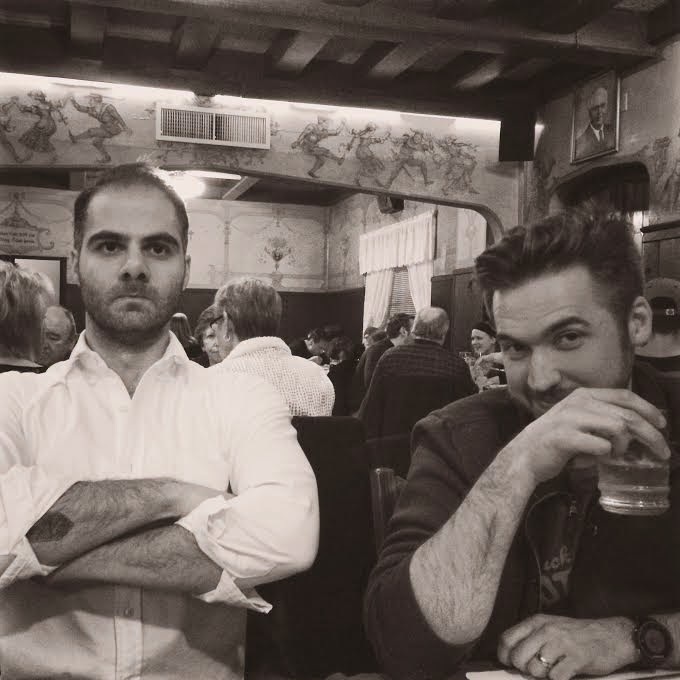 But all that devil's advocating aside, I was honestly bummed over my experience at Kegel's after all the great things I'd heard and all the lists it's made. Am I in search of the perfect fish fry? Yes. But that doesn't mean I can't recognize a decent one. Kegel's just didn't hit the mark for me as far as the fish itself. Plus, the whole meal was like the "portion control" fish fry. I guess some health nuts would put that in the "pro" column, but if you're one of those people we probably shouldn't dine together. I enjoyed the potato pancakes and was told that the mashed potatoes were "really nice." Also nice: that we each got slaw and two pieces of rye bread with plenty of butter. Would I go back to Kegel's? For the German food, sure. And maybe on a not-so-busy night. But for the fish fry? Not any time soon. I'd rather explore other Friday night eateries and hope that the next one won't be even a little bit of a bummer. I've never seen this movie, but I always get a kick out of this Clark Gable dance number. His moves are about as good as mine! As I was cleaning out my closet, I found a binder of writing samples I started a few years ago. "I really should update this," I thought — and by "update" I mean "make digital." So I used The Google to explore my options. I'm happy to report that I found something I'm actually really psyched about. Like, kind of geeking out over. First and foremost, if you're a writer, the key is to include "writer's portfolio" in your Google search. My first few attempts led me to platforms for graphic-based artist portfolios, which just isn't going to work for you if you're a writer. At least not easily, in my experience. 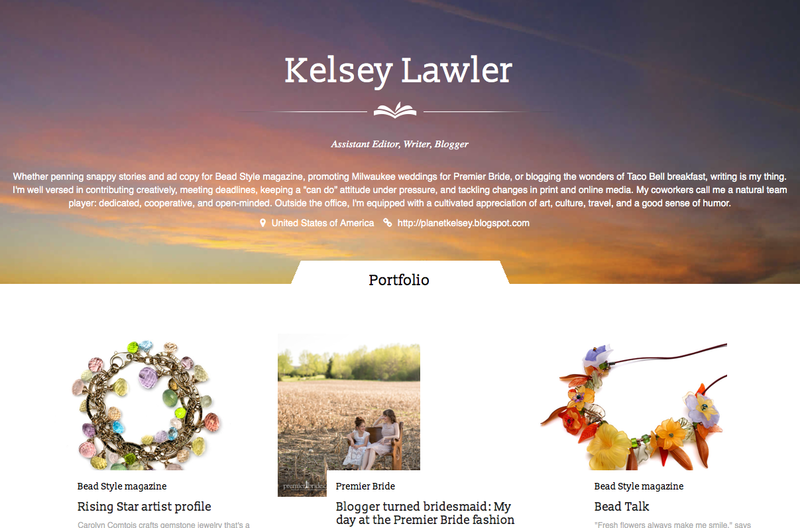 And I wanted something super simple, intuitive, and geared toward sharing writing samples. After adjusting my search, I clicked on the first website on the first list I found of "writer's portfolio websites": clippings.me. It was love at first click. This site offers a free trial that lets you to add up to 16 samples to your portfolio. You have to pay if you want to share more clips, but I figure I can give any interested parties a solid taste of my skills in just 16 (at least for now). Once you create an account, it's time to design your page. You can choose a header image or upload your own. I tried uploading my own, but finding a photo that worked when layered with type felt like a waste of time. The clippings.me header options are on par with pre-loaded desktop backgrounds, but they get the job done. Within the header, you can easily edit your job title(s), intro text, and include a link to your website or LinkedIn page. When it comes to loading the samples themselves, it seriously couldn't be easier. You can add clips either in PDF form or link to a URL — and you can add videos, too. Each URL entry will pull a thumbnail image directly from the page you're linking to. For each PDF, you can load your own image to accompany the file. Clippings.me even lets you crop and size your thumbnail images (neat!). You can also edit the title of each entry and the accompanying preview text. I haven't tried loading a video clip, but judging from the ease of the other options, I'd imagine it's easy peasy. Once you load your samples, it's a cinch move them around to group like clips together or to make the page look pretty. You can add dividing lines between rows and columns, too, if that suits your needs. I admittedly haven't organized my portfolio by like items yet, nor have I added my full free 16 — really, this is a work in progress for me. I just couldn't wait to tell other writers out there about this site! I thought making an online portfolio was going to be such a major pain, but I threw mine together in about an hour, if that. Writers, see why I'm so psyched? Geek with me. Once upon a time, my friend Rachel brought these cookies to a party and they were a hit. So I asked her for the recipe, attempted them, and... fail. Well, half-fail. 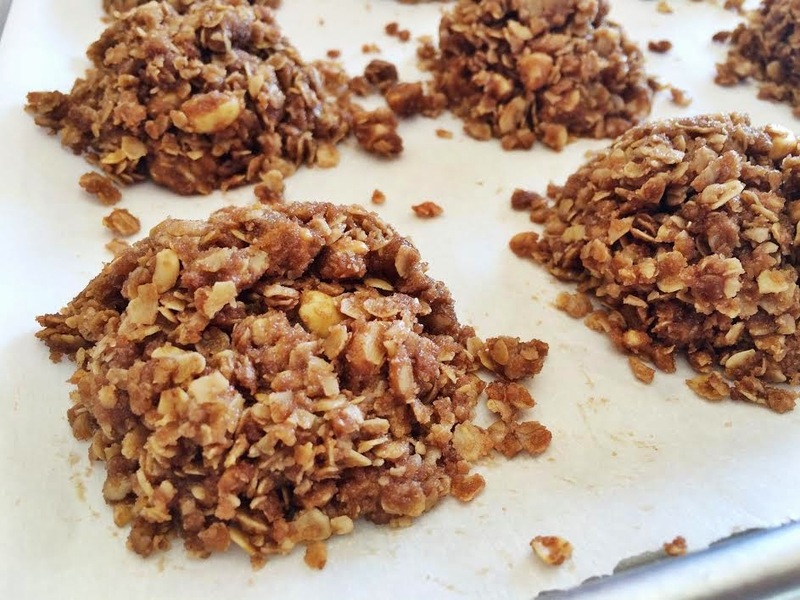 Which is a shame and kind of an ego-killer, since Rachel's family calls these "Bachelor cookies"; they're her Nana Falk's recipe and are supposed to be so easy a bachelor can make them. I guess I'm no bachelor. Still, with Rachel's blessing I'm passing on the recipe. The key to these cookies is timing. Since they're no-bake, you have to act fast when dropping globs of melty "dough" onto cookie sheets lined with parchment or waxed paper. I think maybe I made my cookies too big. Plus, I didn't act fast enough. My first sheet of cookies held together nicely, but my second sheet was a crumbly mess. But the good kind of mess — the kind that would actually taste amazing on top of a hot fudge sundae. In a large sauce pan or pasta pot, combine sugar, cocoa, butter, milk, and pinch of salt. Mix together until melted, then cook for one minute more. Remove from heat and add peanut butter, vanilla, and oatmeal. Stir well, then drop teaspoons of the mixture onto a cookie sheet lined with parchment paper or waxed paper. Allow to set at room temperature. Despite my first attempt's failings, I'm planning to try this recipe again sometime. I might even sub Nutella for the peanut butter because: YUM. I just have to remember not to dawdle and to keep the cookies teaspoon sized. 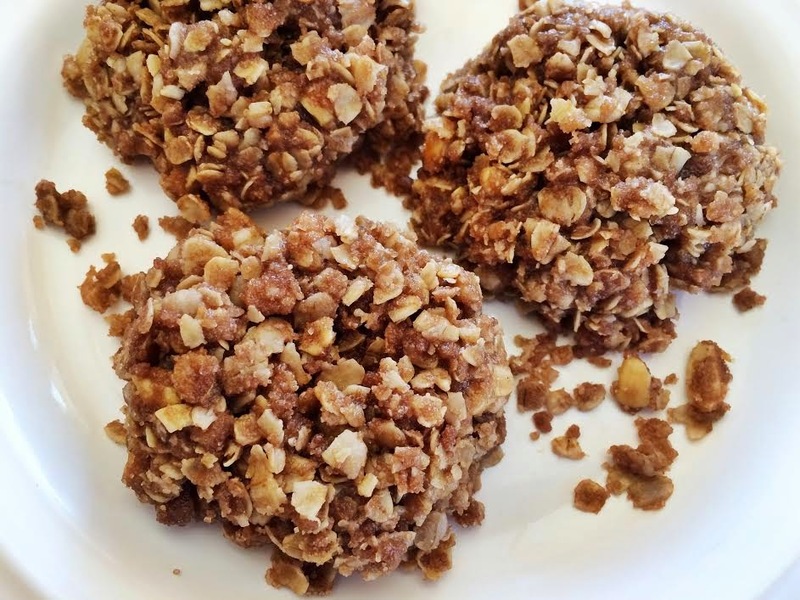 Now go and make these tasty treats and let me know how they turned out for you! Did you end up with two cookie sheets full of perfect deliciousness or the topping for the best ice cream sundaes this side of ever? 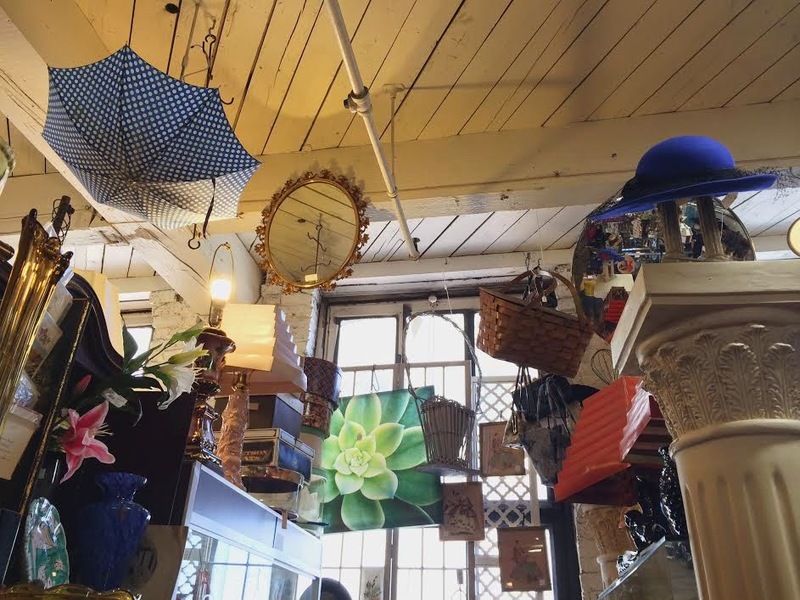 Adam and I love antiquing on a Sunday afternoon. If that makes us sound like old fuddy duddies, we accept the title gladly. 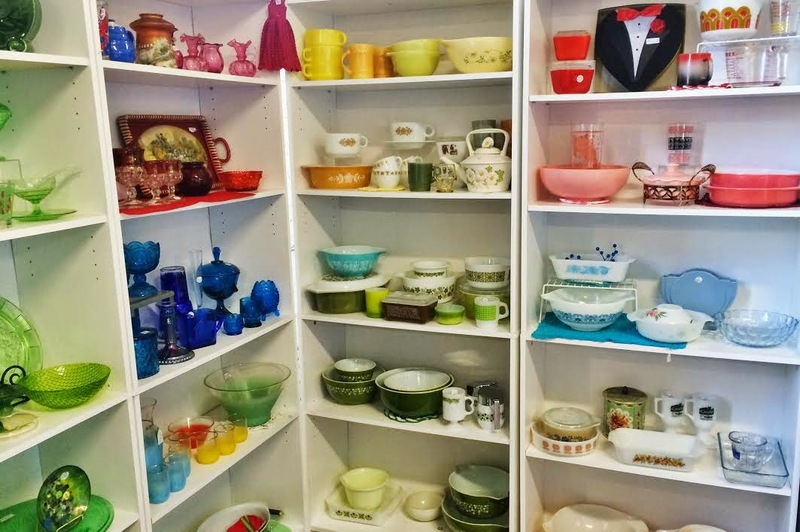 When it comes to touring these shops in Milwaukee, it's not just about the prospect of taking home vintage Pyrex or a clock made from a ship's porthole (yep) — it's the shops themselves. 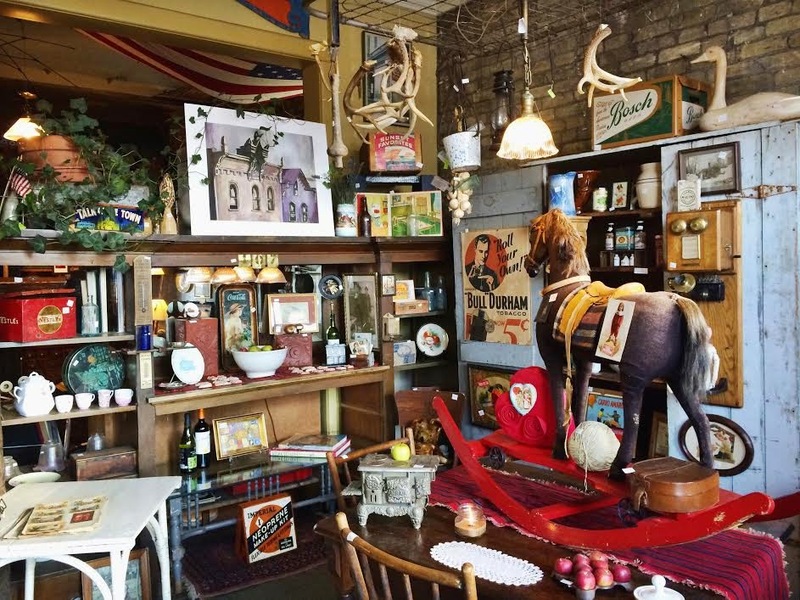 Each offers something different: treasures as varied as the stores they live in. 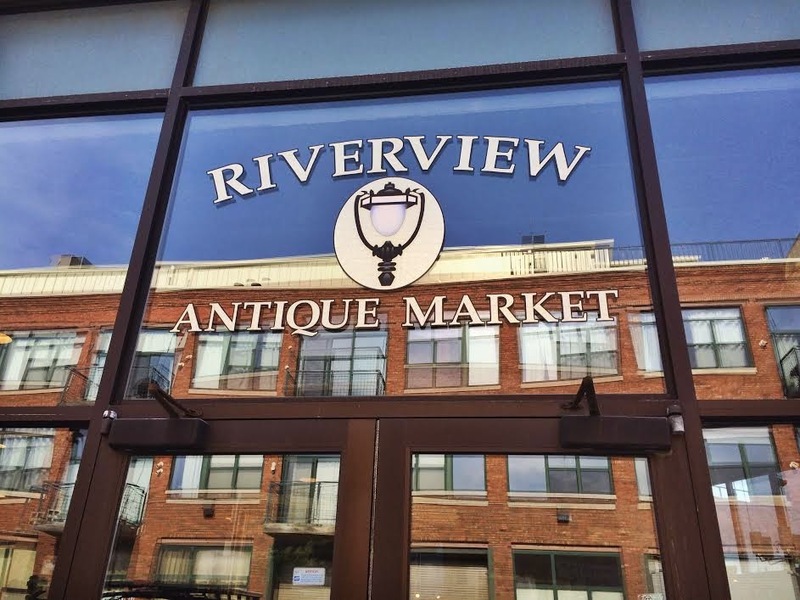 If you like antiquing for its enchanting nostalgia, you've got to visit Riverview Antique Market; this place casts a serious spell. The market's spacious aisles are sectioned off into booths, which are more like meticulously-planned vignettes. 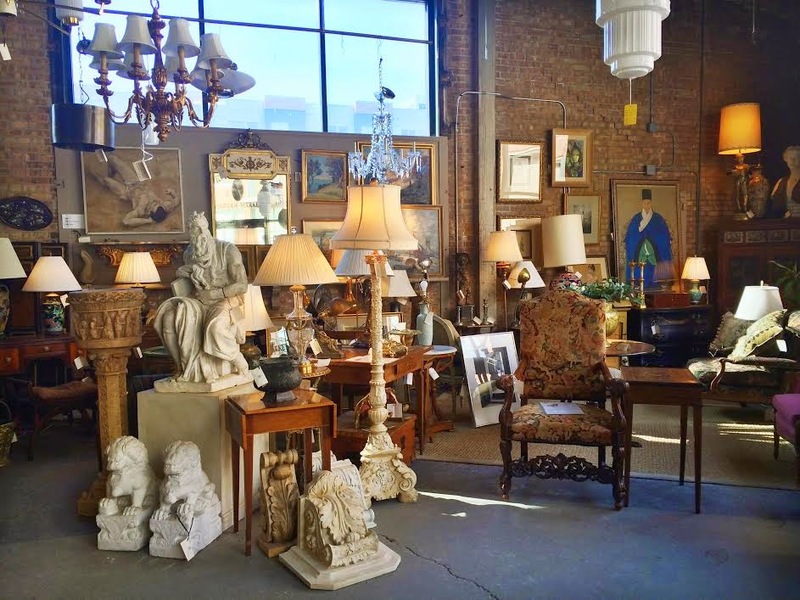 These inviting scenes are brimming with quality antiques, and the warmth of each booth is juxtaposed against a cool, airy warehouse space. 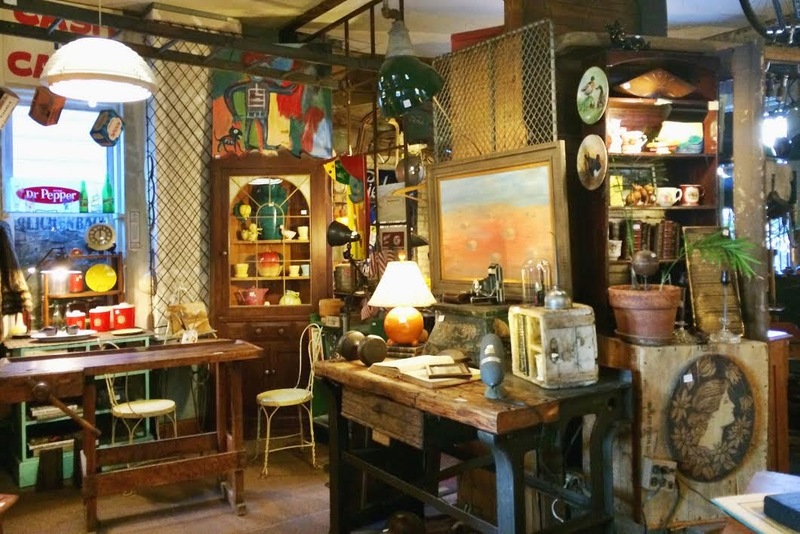 Who knew an antique store could achieve such an urban-chic aesthetic? 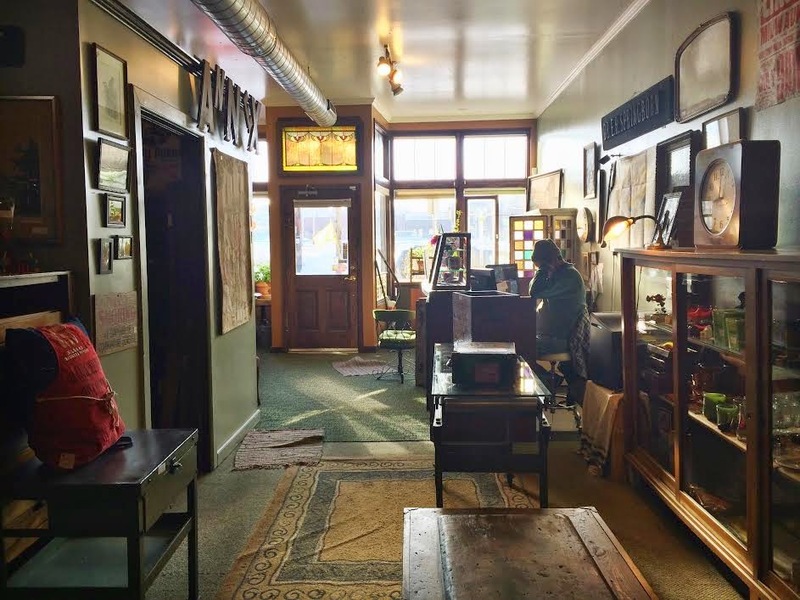 What won't you find at Antiques on Second? 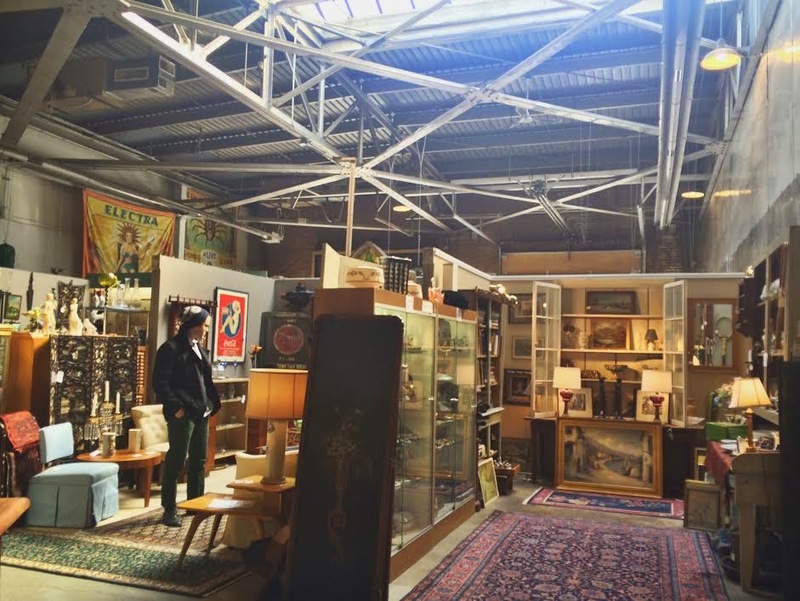 This place is a labyrinth chock-full of of stuff. 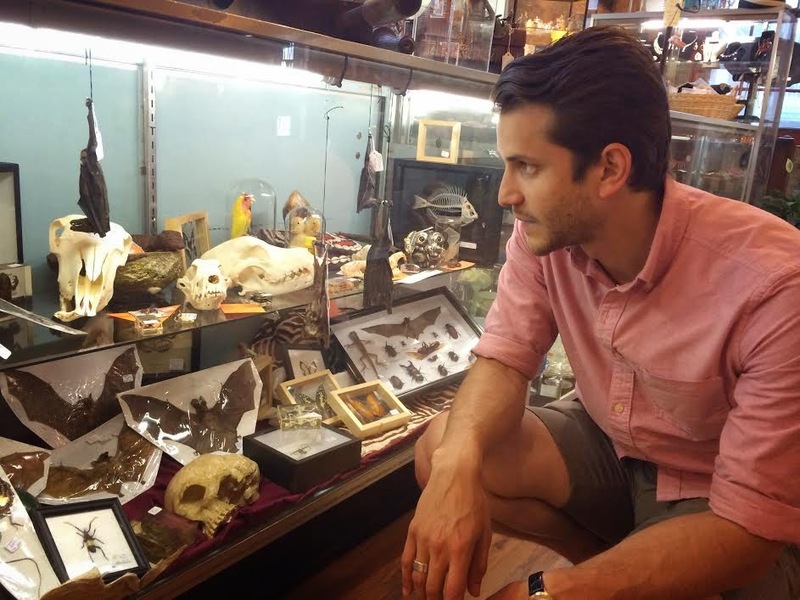 Cool stuff, bizarre stuff, valuable stuff, kitschy stuff — just stuff. 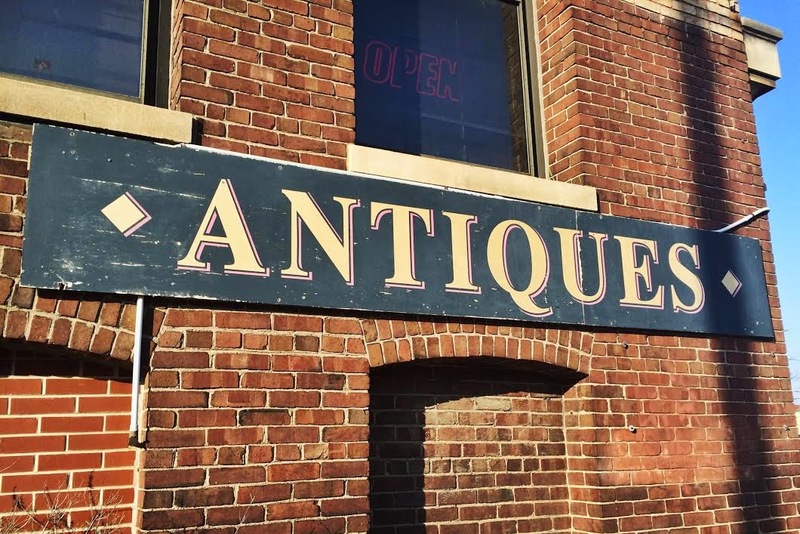 You could spend hours exploring Antiques on Second's three levels, and trust me — there's still no way you could really take in everything. I feel like the place could use a concession stand in the middle of level two; I'm usually hungry and thirsty by then. 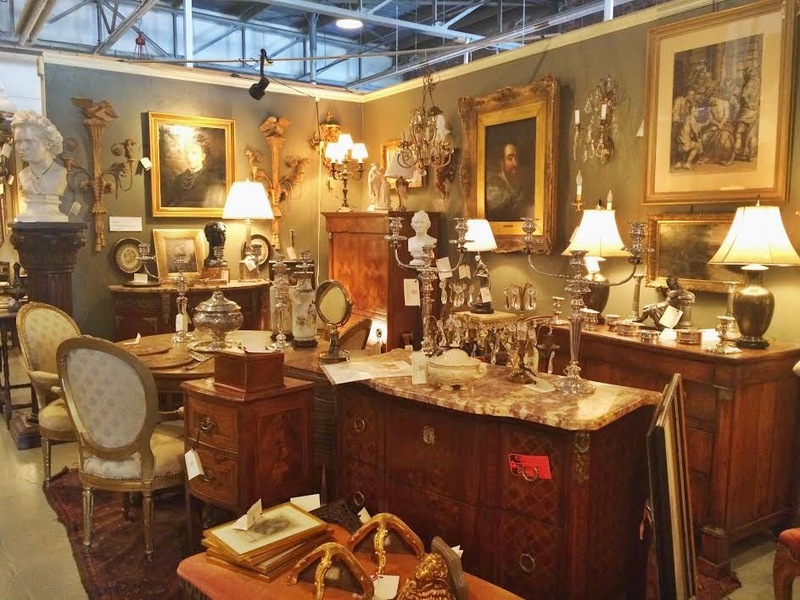 While Antiques on Second can be overwhelming, it also gives the impression of having the most possibility — you truly never know what you'll find in its maze of goodies. 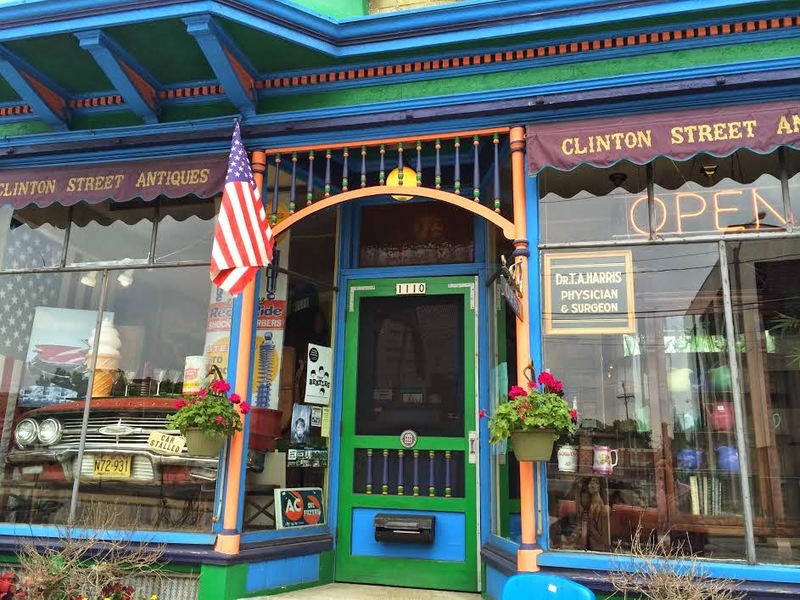 Less than two blocks from Antiques on Second, you'll find Annex and Clinton Street Antiques. These neighboring shops (not physically connected) are under the same ownership. Both are very small, but the antiques are beautifully displayed. 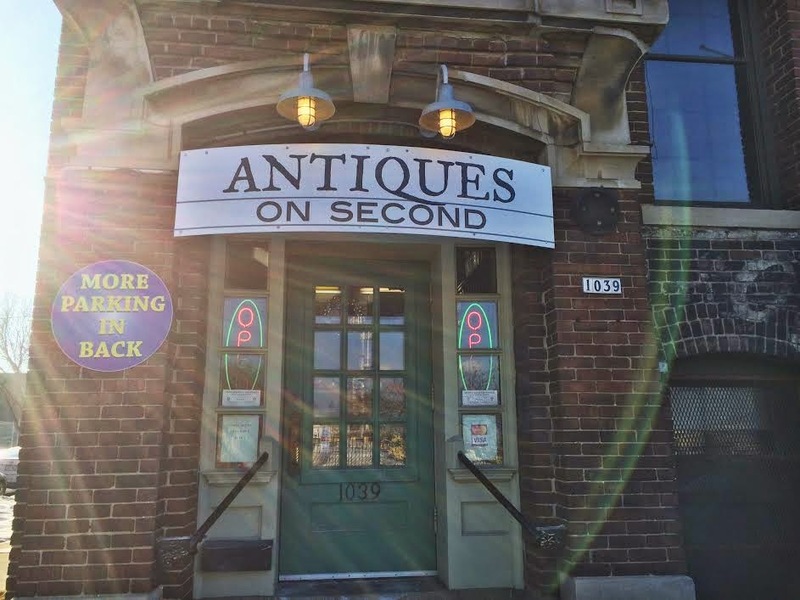 While Antiques on Second takes a "more is more" approach to their products (which is super fun, don't get me wrong! ), these stores seem to go for quality over quantity. 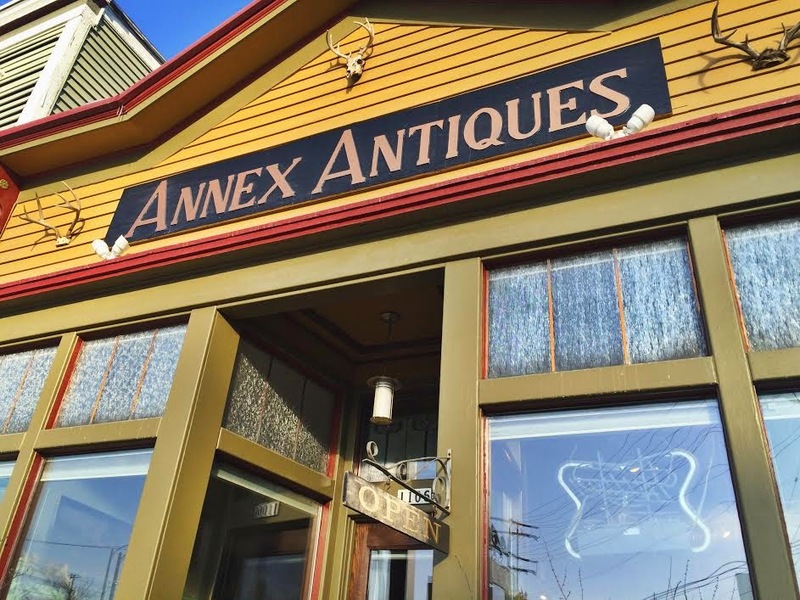 You'll find wonderfully eclectic pieces at Annex and Clinton — and after the vastness of Antiques on Second, the smaller-scale experience is rather comforting. Be happy, be healthy, long life! 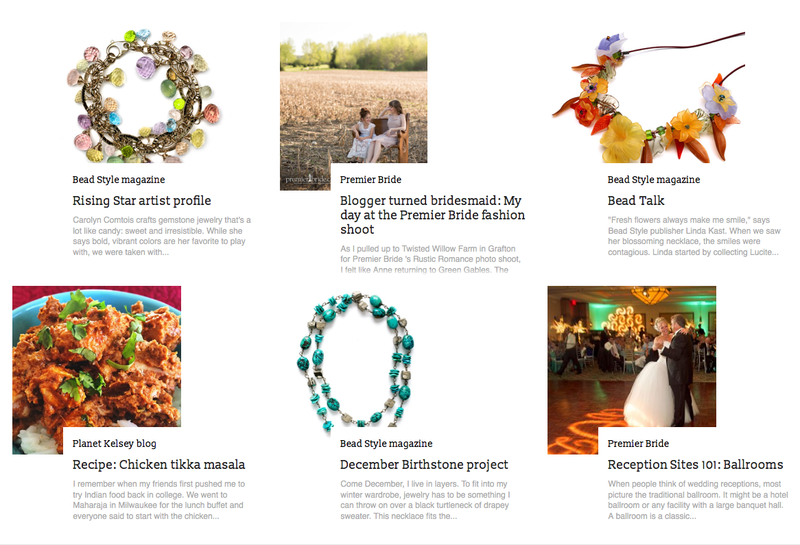 Did you know newsletters are a Thing? I didn't really, which is probably why I started a blog and not a newsletter. But my bosom friend Rachelle lives in Brooklyn — a fact I attribute to the way she always has her finger on the pulse of what's the new What. 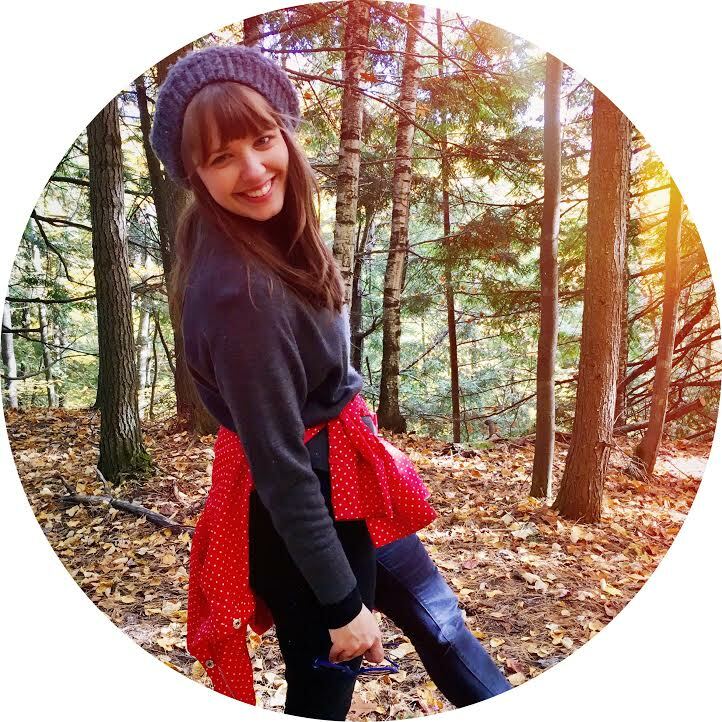 A couple weeks ago, Rachelle (lovingly called Roach by those who know her well) started a weekly newsletter, "Stuff Roach Knows." It's going to cover all sorts of random things from where to buy a giant cheeseburger sweatshirt to how to rid your apartment of 14 mice (true story) to awesome recipes — always with Roach's laugh-out-loud storytelling and colorful language. If you think that sounds fun, it is. So fun. So fun you should subscribe immediately. Last week, Roach was knowing about making guacamole. 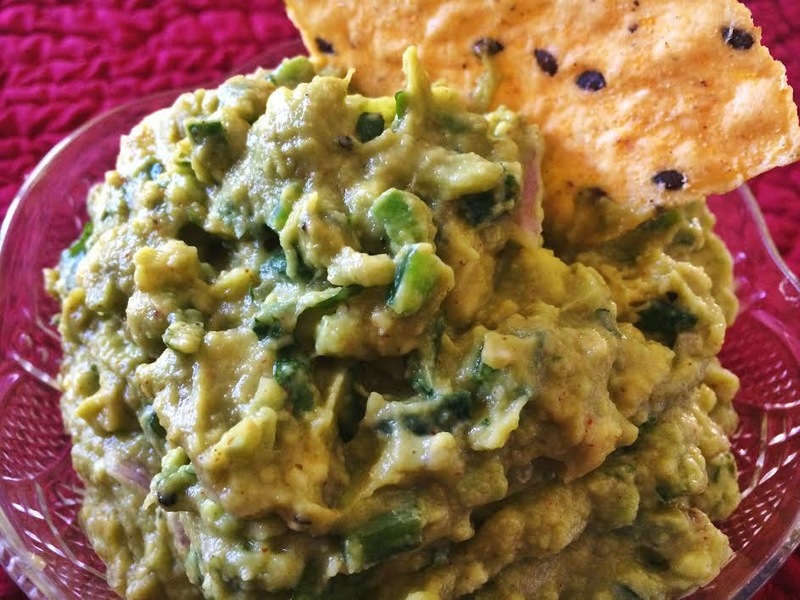 So this past weekend I tried out her recipe, brought it to a party, and got rave reviews. It's really lime-y, spicy, fresh, and I want it in my mouth right now. Admittedly, I couldn't keep myself from putting in my own two cents — and by "two cents" I mean some cumin and cayenne — but that's just me. You do you. Spices aside: Roach, if you're reading this, DON'T WORRY. I did not add tomatoes. Some things are sacred. Read Roach's newsletter for a step-by-step with pics, including a video of the easiest way to peel an avocado! But to sum up here, juice the limes and chop the shallot, onion, peppers, and cilantro (as fine or as coarsely as you like). 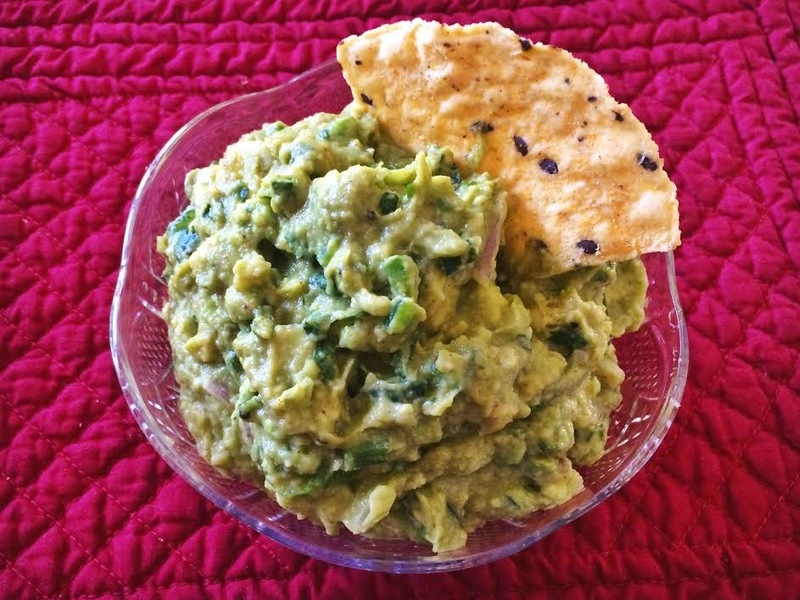 Peel and chop avocado, then toss/mash everything together in a bowl, adding salt, pepper, hot sauce, and any optional spices to taste. If this recipe doesn't make you want to subscribe to "Stuff Roach Knows" I don't know what will. Get your subscription on today!